I believe that design is one of useful methods to solve many problems that modern society has; environmental issues, disparity in wealth. 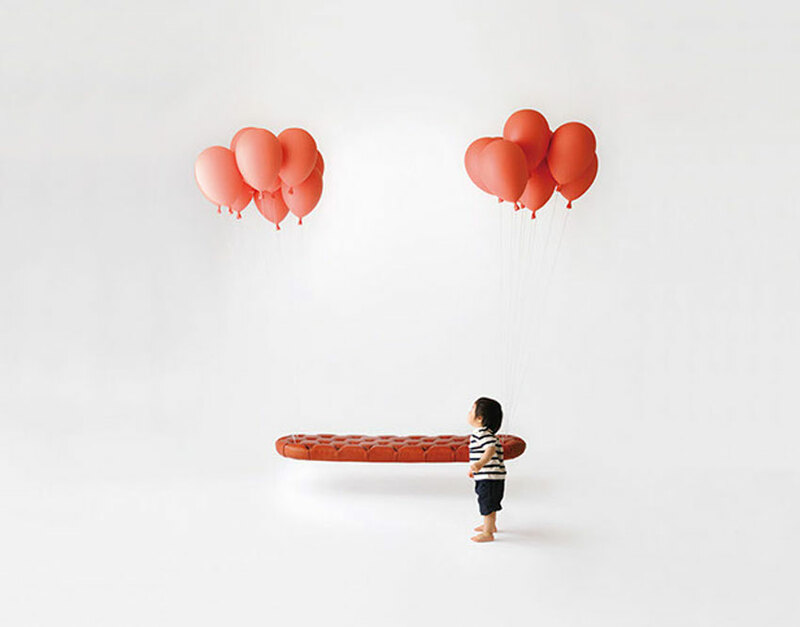 The chair aims to recreate the feeling that Pascal, the protagonist of 1950s film Le Ballon Rouge, has when a cluster of balloons carried him over Paris, rescuing him from a group of bullies. 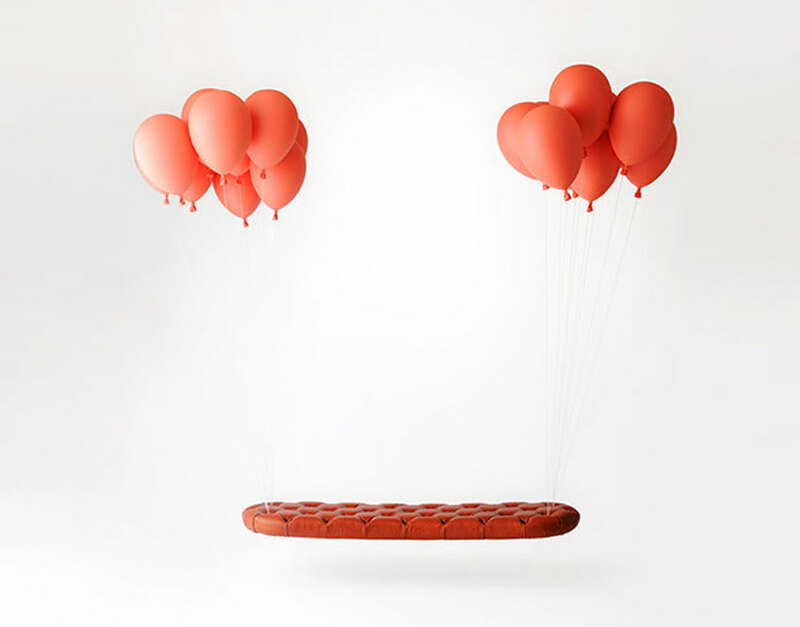 Whereas the bench was suspended from four anchor points in a ceiling to maintain the illusion of flight, the chair fixes to a wall. 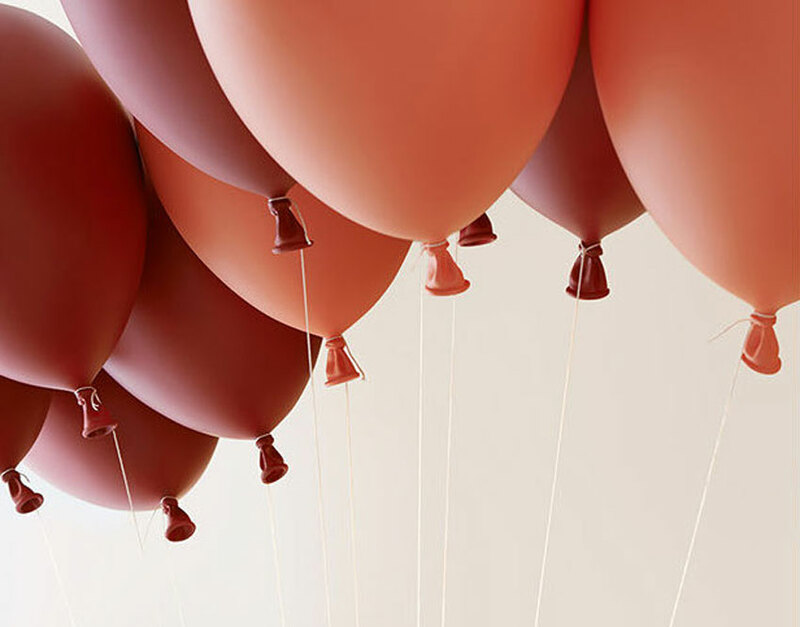 The leather-covered seat is made from fibre-reinforced plastic, steel and urethane, while the balloons are made from fibre-reinforced plastic and cord, meaning they cannot be deflated. 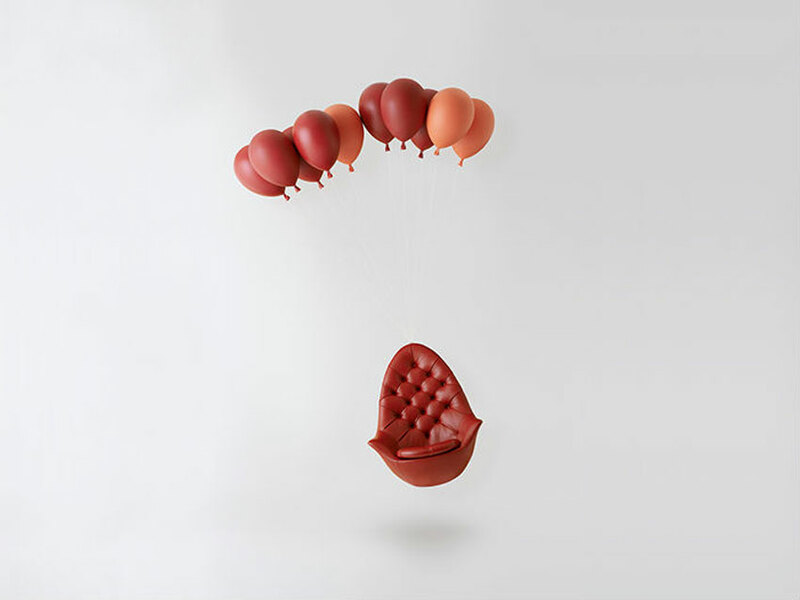 Cite this article: "Balloon Chair and Bench / Studio h220430," in ArchEyes, February 6, 2016, http://archeyes.com/balloon-chair-studio-h220430/.